FREE Tuesday Coffee Concert featuring Croation pianist Konstantin Krasnitsky - Mar 12, 2019 - Hastings Area Chamber of Commerce & Tourism Bureau, MN ? Croatian pianist, Konstantin Krasnitsky will be visiting the United States in March for a residency with University of Wisconsin-River Falls. 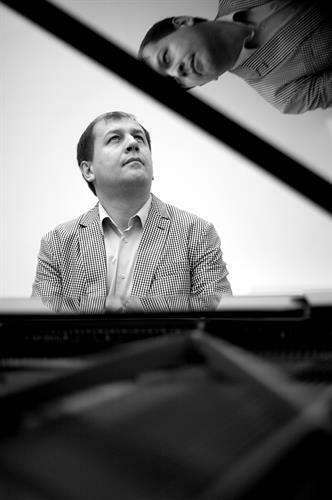 He will be traveling with Croatian composer Davor Bobic, both scheduled to be the distinguished international guests for the University's Piano Festival and Competition scheduled for March 14-16, 2019. The planned program for Tuesday's FREE coffee concert will feature compositions by Rachmaninoff and Bobic. We look forward to Mr. Krasnitsky playing our Steinway piano!